The RT CS 100 is a high-end boot designed for progressive racing and skiing on any piste. The World Cup chassis and comparatively moderate flex are the hallmarks of this ski. It boasts reliable power transmission and the 98 mm last width provides firm support. The asymmetrical construction of the innovative Team ASY Pro liner ensures a feeling of optimum control on the inside and cushions vibrations on the outside of the foot. Four featherlight, ultra-flat Alu 7000 buckles and the broad strap also maximize support. 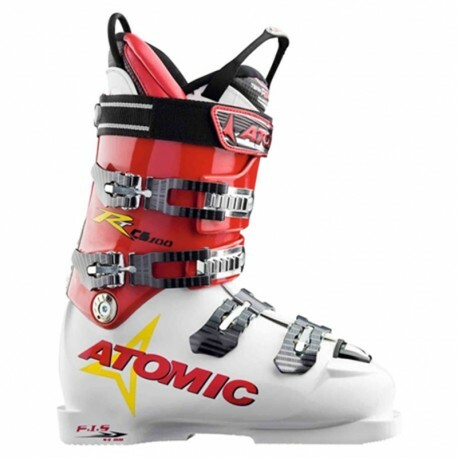 Performance-driven skiers will be impressed by this medium-hard race boot.